city-council-clothing-magnet, a photo by Sign Factory / Half Price Buttons on Flickr. Campaign Button for city council. 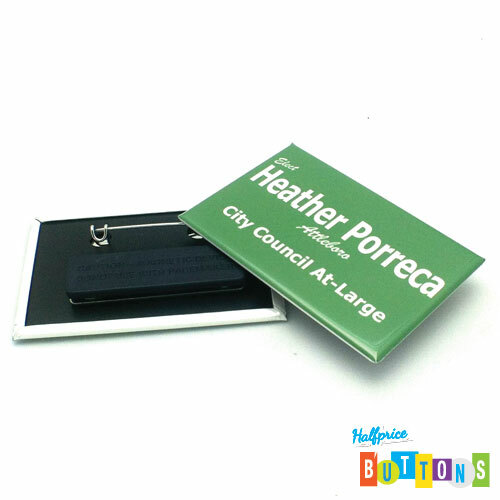 This 2.75" x 1.75" Custom Rectangle Button has both a pinback, and clothing magnet. ib-star, a photo by Sign Factory / Half Price Buttons on Flickr. Custom 2.25" Round Buttons with a star student theme. These beautiful buttons were made with a custom theme, printed on high quality commercial printing equipment, and finished with a high quality pinback. If you are looking for custom pinback buttons, or custom magnets, or even custom zipper pulls, with consecutive numbers, look no further. We can customize your provided artwork, or design it for you, with consecutive numbers for no extra charge. Consecutive serial numbers are great for use as fundraisers, and raffles. 2_25_round_magnets_inspirational, a photo by Sign Factory / Half Price Buttons on Flickr. This custom magnet was designed with our 2.25" diameter template, and printed with our high quality commercial printing equipment, at the lowest of prices. no-bullying-button, a photo by Sign Factory / Half Price Buttons on Flickr. A collection of 2.25" round buttons in different themes. 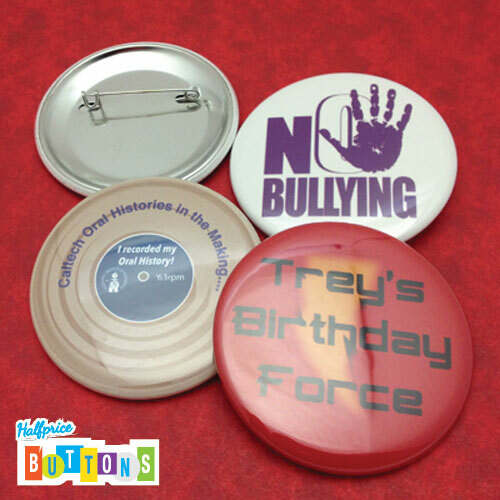 Are you launching an anti-bullying campaign, and need custom buttons to go along with this, or are you hosting a themed birthday party? We can help you with these ideas, and more. Let us make your custom buttons! colonscopy, a photo by Sign Factory / Half Price Buttons on Flickr. 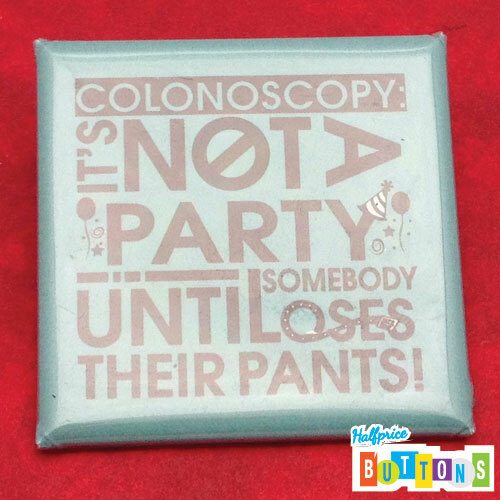 A 1.5" x 1.5" custom square pinback button to promote colonoscopy awareness. This humorous button is being used to take the edge off the seriousness of colon cancer, and early screening. Save big bucks on your next custom square button order with Half Price Buttons. inspirational_magnet, a photo by Sign Factory / Half Price Buttons on Flickr. Refrigerator magnets make great gifts for friends, and small groups, or even service organizations. 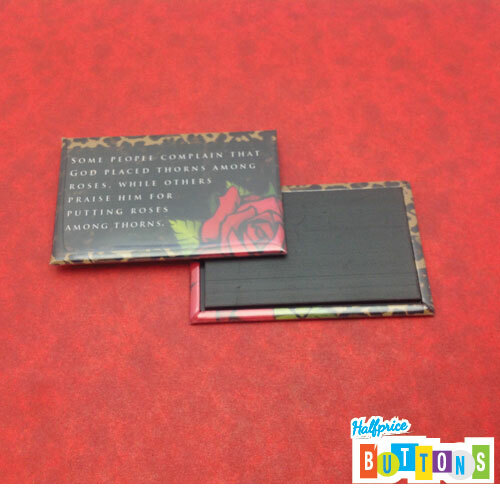 Customize one today with your theme! 1inch-volleyball-zipper-pull, a photo by Sign Factory / Half Price Buttons on Flickr. 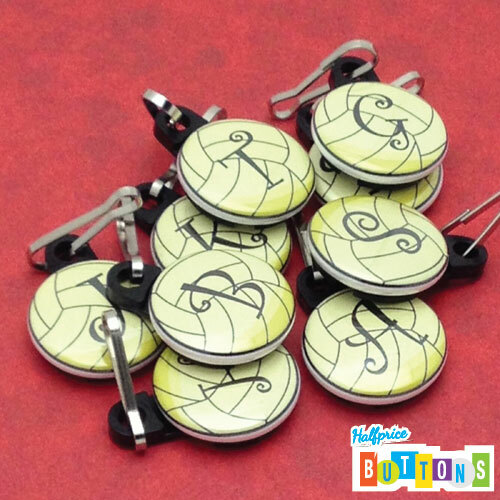 They'll love their custom volleyball zipper pull, you'll love the price. Order a set for your team today. 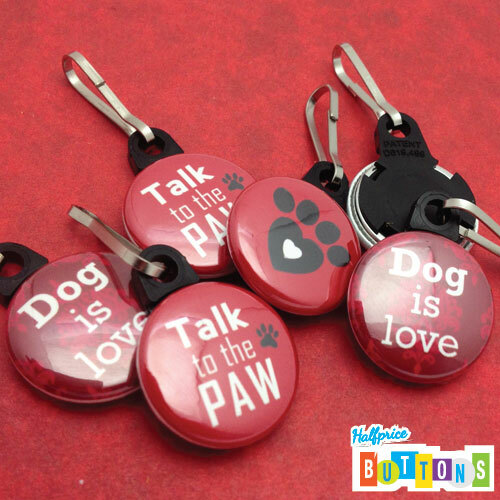 We can customize our zipper pulls in your choice of font, and names, or initials. 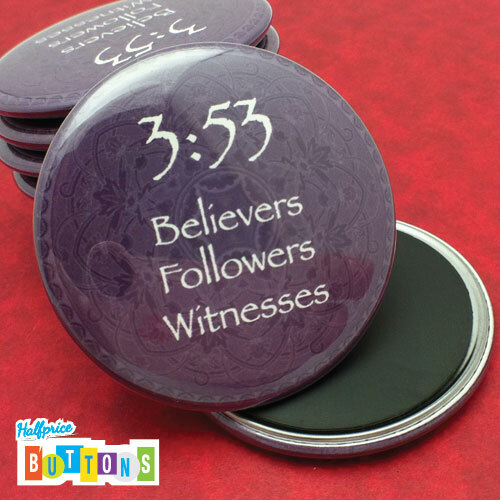 Some examples of our 2.25" custom round buttons, printed with our commercial printing equipment in 2400 dpi. We can customize one for you, for the lowest of prices!